Lockforce Edinburgh - Your Local Emergency Mobile Locksmith. Also specialise in car locks. Hello and welcome! Thanks for visiting Lockforce. If you're a resident in the Edinburgh region blighted by a house or car lock problem, then we're here to help! Our local locksmith is highly trained in both domestic and auto / car lock services to ensure that wherever you are, whatever your problem, Waqaar can attend to your problem with a highly competent and friendly service, characteristic of the Lockforce brand. We rarely notice the convenience of a working lock until they break. When locks on your premises fail, it's natural to feel frustrated and vulnerable. However, whether you are locked out (or even in!) your house, our local locksmith is on hand to help. Your local locksmith operates a 24/7 service across the Edinburgh region, and will endeavour to reach your home or business within 60minutes of your emergency call out. Waqaar has been rigorously trained to solve your every locksmith need, meanwhile his investment in non-destructive techniques ensures that the cost of any further damages to your locks and doors can be avoided. For an expert locksmith in Edinburgh you can rely on. Request a rapid response callout or to see how we can best help you. 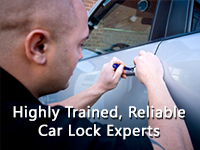 Similarly, our investment in the latest autolocksmith equipment and lock reparative techniques ensures that we can access your vehicle with no or minimal damage during a lockout scenario. key cutting expertise moreover ensures that however bespoke your order, the same professional service will greet you. With mobile key cutting equipment and the ability to complete orders faster than your local dealer, call Waqaar and the Lockforce team today for an unbeatable service.